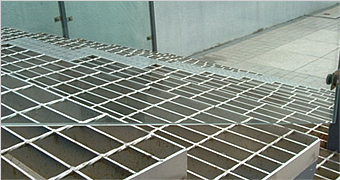 Steel Grating | Anping County Jincheng Metal Products Co ., Ltd. 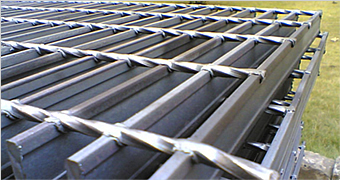 The serrated steel/bar grating is made of serrated bearing bar and cross rods. 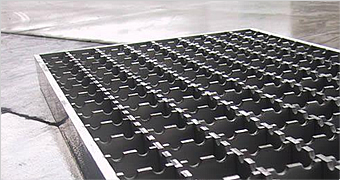 They placed horizontally and vertically, and at an equal pitch apart, by welding with 200ton hydraulic resistance automatic welding equipment then cutting punching and handing ends. 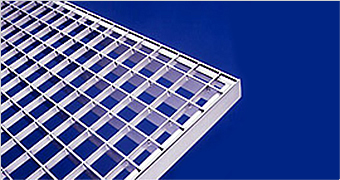 Center to Center Cross Bar Spacing: usually supply with 50mm or 100mm. and we are also pleased to accept your special order. B) USA: ANSI/NAAMM (MBG531-88) .